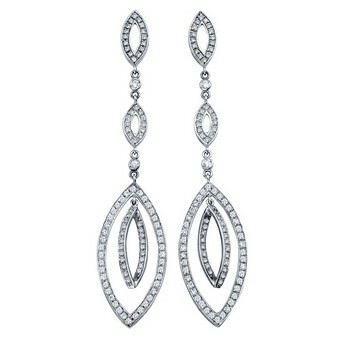 Handmade 18kt white gold earrings featuring 3 dangling marquises of 180 round brilliant VS/G-H Diamonds. The lowest marquise has another marquise of Diamonds dangling inside. 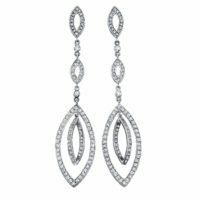 Each marquise is connected with a bezel set Diamond link. 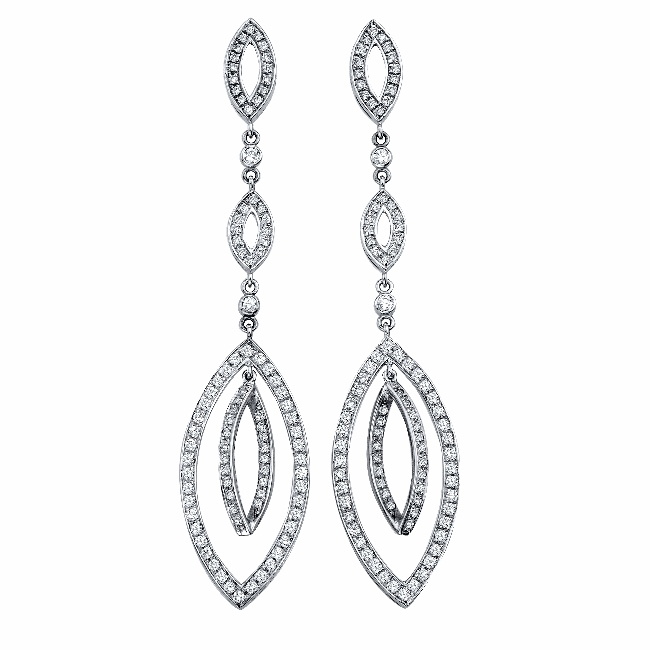 The total Diamond weight of the earrings is 1.54ct. Jorge Adeler signature design.